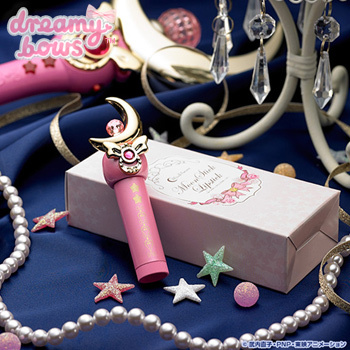 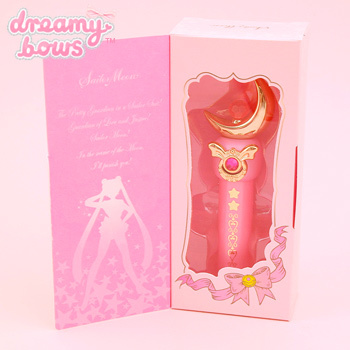 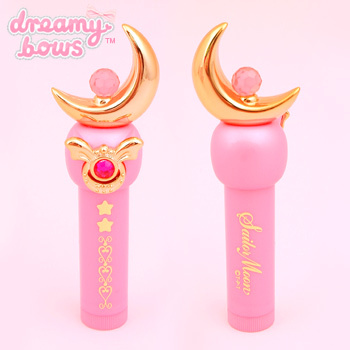 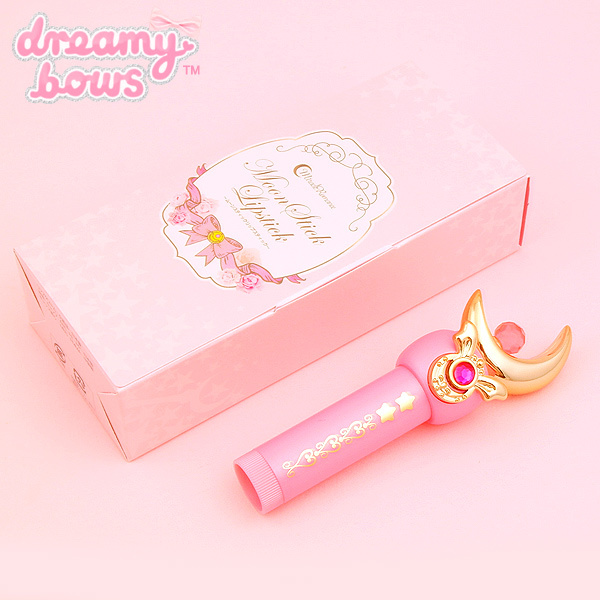 This beautiful, limited edition replica of Sailor Moon's first series Moon Stick was produced for the Sailor Moon 20th Anniversary. 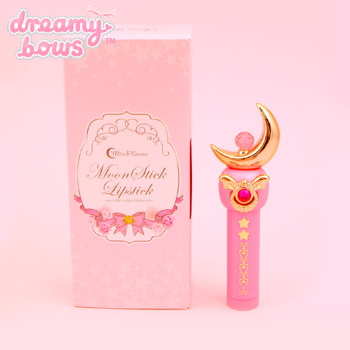 The Miracle Romance Moon Stick Lipstick is actually a lightly tinted lip balm, with a delicate fruity peach fragrance. 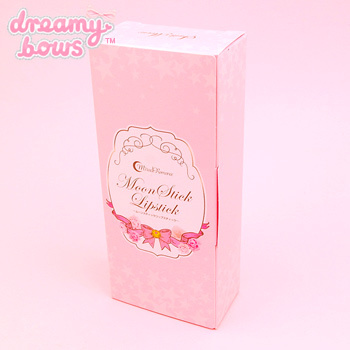 The cream formula is blended with jojoba oil, evening primrose oil, collagen and vitamin E, for beautifully moisturised lips.